Adjacent chart shows price movement of MCX Copper continuous contract. 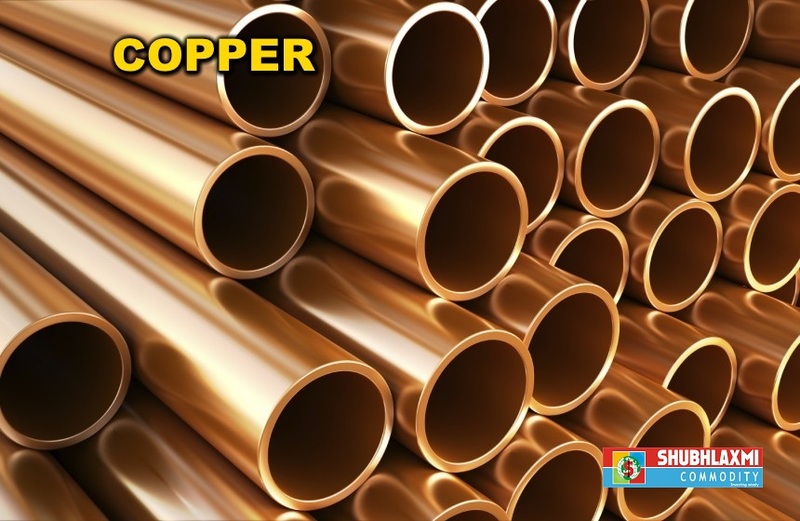 Copper corrected around 7.3% after hitting fresh high of 451.35 in first week of Sept 2017. However, red metal is now hovering near multiple supports in the 414-420 zone. 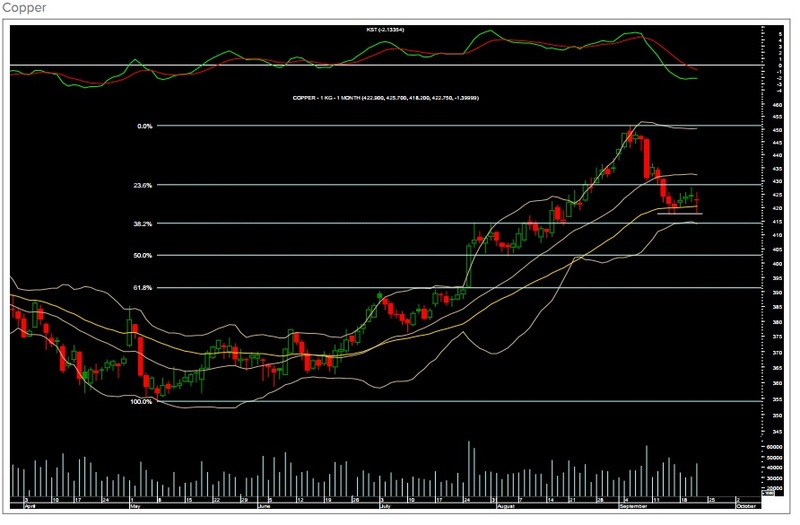 The rally from May 2017 will retrace 38.2% near 414, which should be ideal short term support, and is also the lower end of the Bollinger bands. Near term resistance is the swing high at 427.4. If the immediate support of 414 is taken out, the correction may extend to 403 which is 50% retracement. The daily momentum indicator is negative.